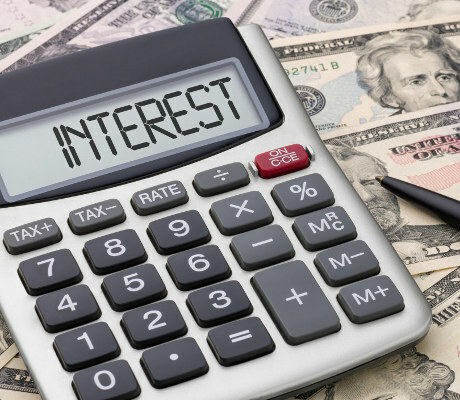 Investors’ perception of where interest rates are going can have a major impact on the stock market. The recent pullback in U.S. equities serves as the latest example. With solid results from economic indicators such as average hourly earnings, durable goods orders, and construction spending, investors feared that inflation would shoot beyond the U.S. Federal Reserve’s target of two percent, which could, in turn, result in more rate hikes from the central bank. And that concern, coupled with a new Fed chairman taking office, led to a market-wide selloff on Monday. At one point, the Dow Jones Industrial Average was down more than 1,500 points. Even though the market has since recovered quite a bit, it’s still uncertain whether the U.S. economy could actually handle a few more rate hikes. Ultimately, both consumers and businesses have gotten too comfortable with ultra-low interest rates for the most part of the last decade. Fortunately, while many businesses are worried about higher debt repayment burdens resulting from higher interest rates in the future, some companies are actually in a good place to capitalize on the very same environment. Garrison Capital Inc (NASDAQ:GARS) would be a good example of this. Lending to middle-market companies might not be the safest business, but Garrison Capital invests primarily in senior loans. In fact, first-lien senior secured debt represented 97.8% of the company’s total portfolio by the end of third quarter of 2017. This means that if the borrower defaults, Garrison Capital will stand first in line to get paid. Because of the company’s heavy focus on debt investments, it makes money mainly from collecting interest payments. The neat thing is, 99.1% of Garrison Capital’s portfolio is made up of floating rate loans, meaning its revenue stream is positively correlated to changes in the London Interbank Offer Rate (LIBOR), a benchmark rate at which banks borrow from each other. The neat thing is, while the company is well-positioned for rising interest rates, investors don’t have to wait for future rate hikes to lock in a return. Because Garrison Capital Inc is structured as a business development company, it is required to pay out most of its profits to shareholders through dividends. Right now, the company has a quarterly dividend rate of $0.28 per share, giving GARS stock an annual yield of 14.0%. Earning a double-digit yield while hedging higher interest rate risk? Now that sounds like a good deal.